Earlier this year Verisign, the registry that manages the .com and .net domains, began rolling out the localized Japanese equivalent of .com: .コム. 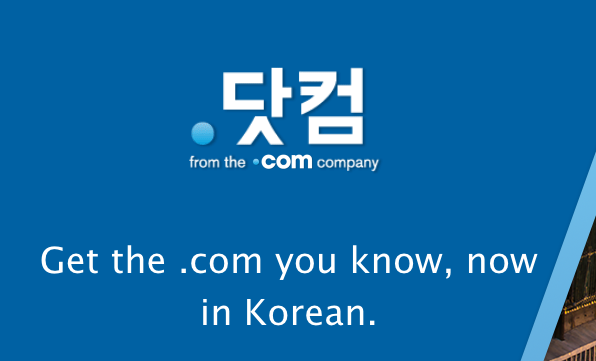 Today, Verisign adds another language to the mix, with the rollout of the Korean versions of both .com (.닷컴 ) and .net (.닷넷). This is sunrise period of registration, which is limited to trademark owners. The landrush period begins on August 16th. PS: The landrush for the Japanese equivalent of .com begins today!